First, prune annually every winter! Invest in your plant’s future and prune every year so your plant will focus its energy on growing vigorous enough to yield larger, better tasting berries. 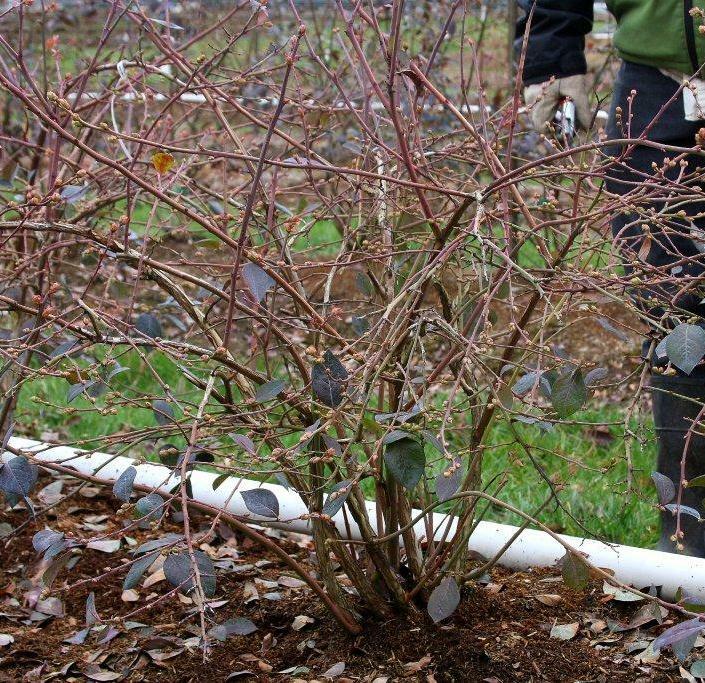 We suggest pruning mid to late winter, sometime before you see signs of new growth. Prune older wood – since berries fruit on new wood, focus on pruning out older wood that’s already fruited, non-vigorous twigs and blotchy colored, short branches. Prune out one third to one half of the branches. It sound counter-intuitive but trust us – generous pruning of old wood will encourage the plant to produce larger and more abundant berries. 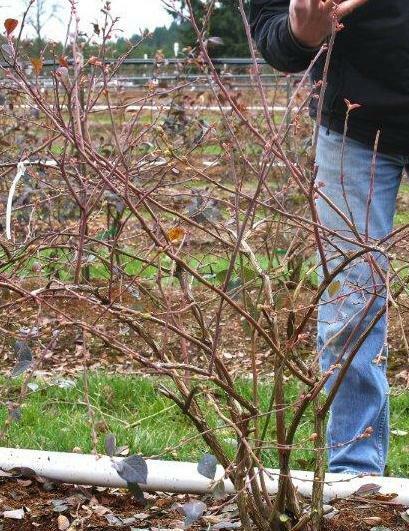 For more detailed information and graphic examples of the pruning process, check out Fall Creek Nursery’s A Gardener’s Guide To Blueberries, available in hard copy or digitally through Amazon.com, your favorite ebook store, and select garden centers and nurseries.